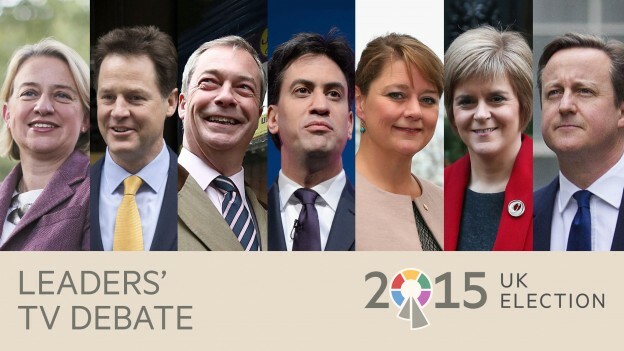 As I watched the leaders debate last night I got to wondering whether we vote on the basis of policy or personality? Do we, in this age of reduced attention spans, take the time to investigate the parties policies or do we react to soundbites and our reaction to the leaders characters? Or do we not even do that but simply vote for whichever party our parents voted for? I’ve been watching the political parties trying to “market” themselves to us in the lead up to the election with interest. The major parties spend a lot of money on marketing and communication advice so why are they failing to connect with us? Why are we turning to the smaller parties for a new voice? Are we tuning out from their policies or their personalities? I’m giving away my age here but I grew up in the days of Margaret Thatcher, MIchael Foot and Neil Kinnock when there was a definite left and right to British politics. Although there are still ideological differences now the two main parties have undoubtedly both grown closer to the centre in order to appeal to the mass of the population and this has made it harder to see the space between them. Hard as they try to ignore it the fact that the major politicians tend to come from a similar background and area also doesn’t help. Their communications experts have obviously told them to push their “key message” which is why we keep hearing David Cameron talking about the long-term economic plan & Ed Milliband talking about supporting the working man not big business. This constant pushing of their message goes against virtually everything in marketing nowadays. Modern marketing is much more about pull than push, much more about human connection and shared empathy. Are our potential Prime Ministers getting so caught up in their own message that they’re failing to see how potential voters are tuning out? So the question I’m asking myself is: are we turning to the smaller parties not because we’re looking for something different in politics but because their leaders seem more human? In which case what matters most? Their policies or their personal likeability and trust factor? So how do you decide? Is it policies or personality that you base your decision on? Or do you always follow the family tradition? I’d love to hear your thoughts. This entry was posted in General Thoughts and tagged #leadersdebate, David Cameron, Ed MIlliband, Election 2015, leaders debate, policy, politiciansssss, politics on April 3, 2015 by dianne.